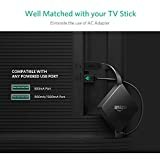 【Specially Tailored for TV Sticks】UGREEN Mini USB Power Cord is compatible with most currently popular streaming TV sticks, including Fire TV Stick 4K, Fire TV Stick 1st/2nd Gen, Fire TV 3rd Gen, Roku Streaming Stick 2014/2016(3500R/3600R), Roku Express,Roku Express+, Google Chromecast Ultra, Chromecast 3/2/1, NOW TV Smart Stick, Intel Compute Stick and other TV sticks with Micro USB 2.0 port. 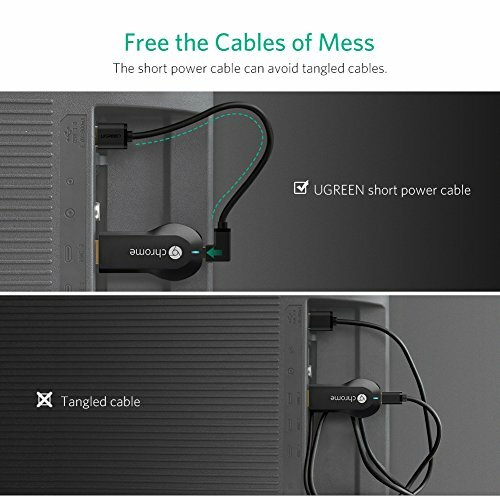 【Perfect Solution For TV Cable Clutter】UGREEN Short USB Power Cable is designed to power your streaming TV stick directly from the near TV USB port. 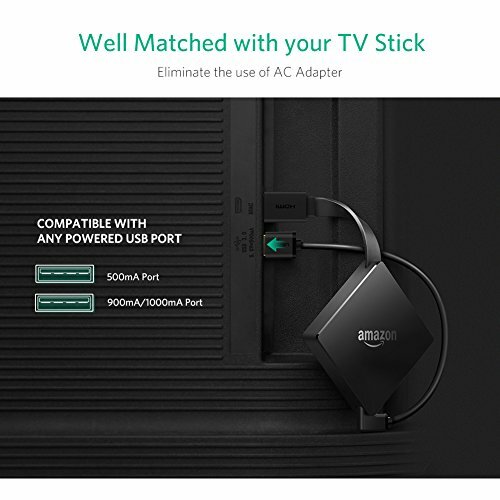 An ideal choice to eliminate the need to find an AC outlet to power your TV Stick. 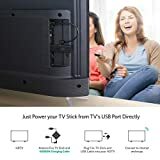 Great for removing cable clutter from behind your TV and reducing the risk of your pet chewing on cables or trip and slip hazards. 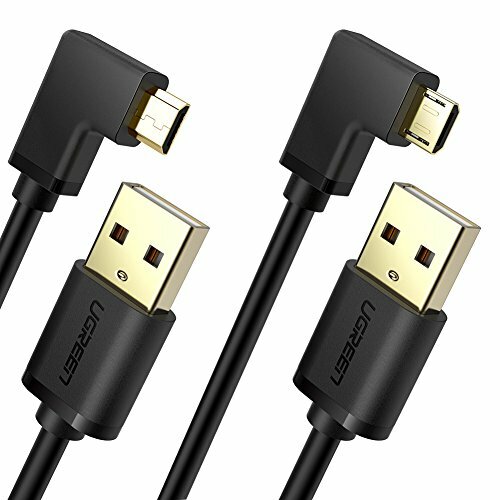 【Two Choice, Double Reassurance】Two 15cm right angled Micro USB TV Stick Power Cables are included. Two different angles are available--90° and 270°, satisfying your different use situations and enabling you to flexibly adjust the TV Stick based the location of the USB ports on your TV. 【Durable Connectors, Stable Power Supply】With 24K Gold plated connectors, the USB power lead provides maximum conductivity, charges much faster than normal cables, greatly keeps your TV stick working stably. 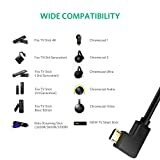 Note: The USB Charger Cable is only a transmitter of signal/voltage and the USB socket on your TV supplies the power. Please check to make sure if the max power output of your TV's USB socket is enough to power the TV stick before purchase. 【More Than TV Stick Power Cable】This USB power cable provides a quickest and easiest way to power TV stick, but it can also charge your any portable Micro USB 2.0 devices like phones, tablets, MP3 players, power banks while travel, such as Samsung Galaxy S7/S6 Edge/J7, Huawei Y6/Y7/MediaPad T3, Sony Xperia Z5/Z3, Motorola Moto X/E5/E4, Xiaomi Redmi 6A, Nokia 6/3. 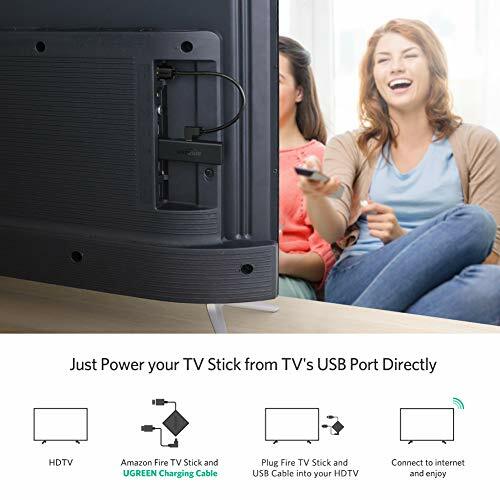 The ugreen TV stick power cable is an ideal choice to power your TV stick directly from your TV's USB port. 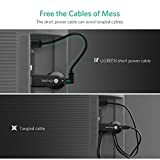 It eliminates the need for an AC power outlet and makes charging faster and easier. 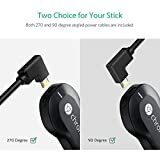 The L shape and short cable design is a perfect way to connect your TV stick to a TV without tangle. 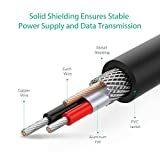 Compared with other long cables, it can keep the space tidy and clean.